I bought Sunny Day from the Kitchen during their Oxford Street exclusives week but it's since been rolled out nationally so you can pick it up in your local store. 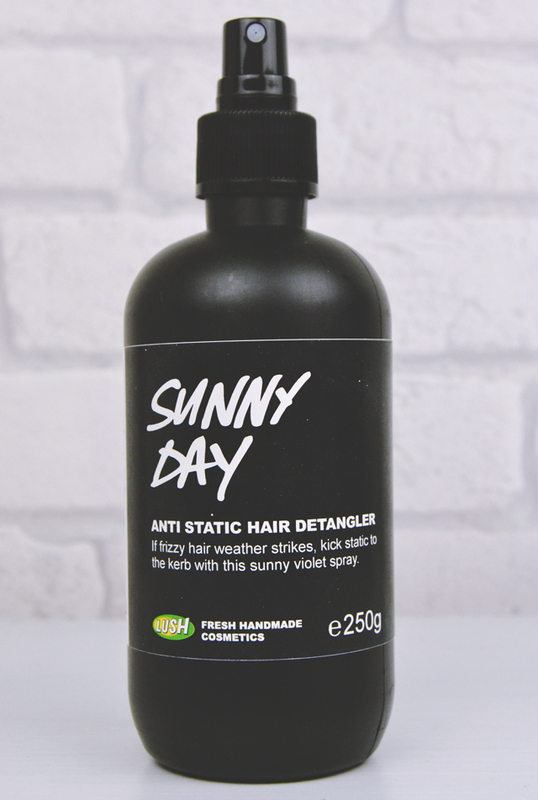 Interestingly, the label describes it as a detangler but this isn't mentioned at all on the site. Instead, it's sold as am anti-frizz spray to keep your locks smooth and silky. The bottle I bought is 250g and pretty massive, which is good if you're going to use a lot, but I'd probably start with the 100g bottle. It has an easy-to-spray pump mechanism so you can spritz it all over your head without contorting your body into strange positions (just me?). Let me tell you, this stuff smells incredible! Ingredients include lemon juice, honey and ylang ylang but the fragrance is 100% violets. 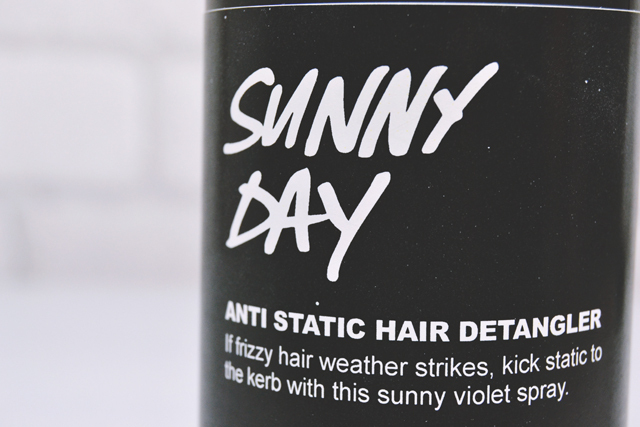 If you like the scent of Parma Violets, this is the hair product for you! In fact, I even got compliments on how nice I smelled so it travels well! Since my hair is naturally curly and frizzy, it has a tendency to get really tangled and static so this seemed like a dream product. However, as I straighten my hair, I try not to get it too damp as this causes it to curl again. Needless to say, this is a bit of a problem as if I spray too much, it prevents my hair from staying straight. This may be causing issues as I haven't seen any incredible results from using this product although, if you ask me, you shouldn't have to pile on the product to see results. A big bonus is that it doesn't go crunchy or crispy but instead leaves a very natural finish. I was so excited about this product so it's a shame it doesn't quite live up to my high hopes. It's not that it's bad. It just wasn't particularly great. Hmm shame it doesn't work amazingly, but the promise of Parma Violet smelling hair could swing it for me still! My hair is so curly and frizzy it's annoying. I have to wash/dry it a very particular way for it to sit nice naturally. I use to straighten it like crazy but since decided to avoid them as it was just more hassle for me. I currently use the L'Oreal Kids Tangle Tamer Detangling Spray which has a super sweet pear scent and works great on my afro/indian hair. I also use the L'Oreal Elvive Extraordinary Hair Oil which helps a lot with frizz control and adds a lovely scent and shine to my hair. 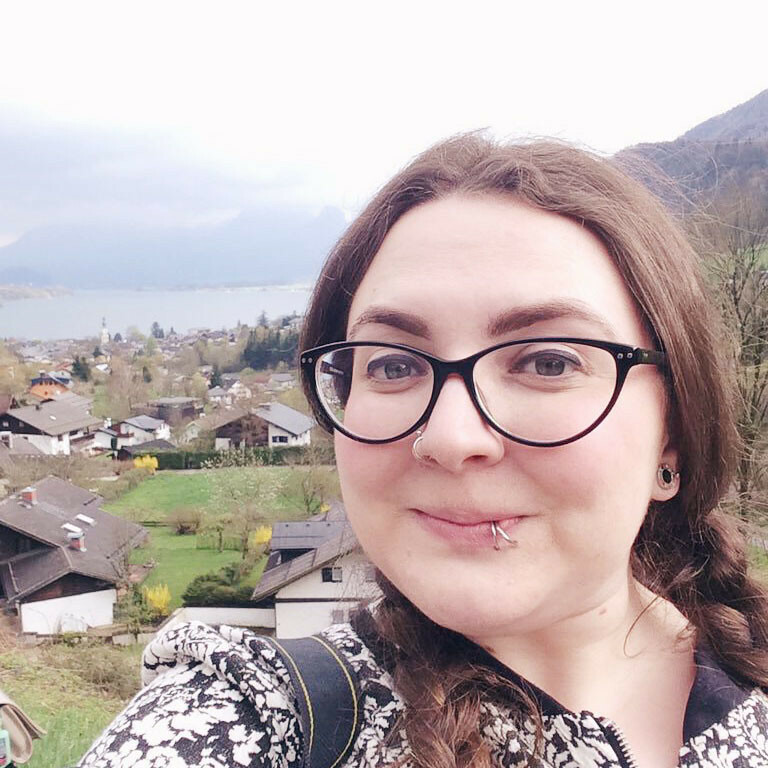 Fab post Becky, as always! This sounds really lovely! I'm all for Lush products. I haven't ever used any products from Lush other than for their Bath products. Sorry it didn't work out too well.